Cargojet Airways (Hamilton) has announced the company has entered into a new Air Cargo Service Agreement with United Parcel Service Canada Ltd. (UPS). This Agreement replaces the agreement originally entered into in 2003 to provide domestic overnight air cargo services throughout Canada. Cargojet is Canada’s leading provider of time sensitive overnight air cargo services and carries over 1,000,000 pounds of cargo each business night. Cargojet operates its network across North America each business night, utilizing a fleet of all-cargo aircraft consisting of 5 Boeing 767-300 ER, 5 Boeing 767-200 ER, 5 Boeing 757-200 and 9 Boeing 727-200F aircraft. Copyright Photo: Chris Sands/AirlinersGallery.com. 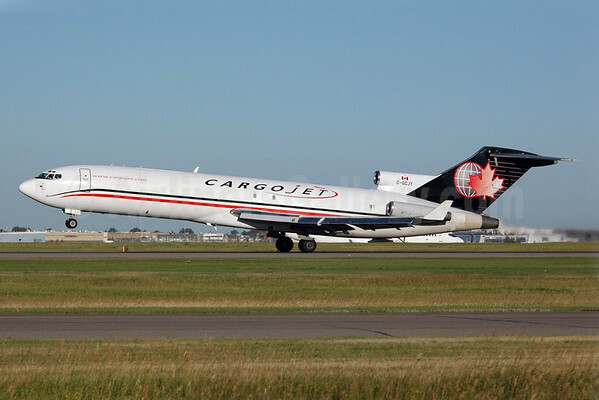 Cargojet is one of the last operators of the Boeing 727 in Canada. Boeing 727-223 (F) C-GCJY (msn 22460) departs from Calgary. This entry was posted in Cargojet Airways and tagged 22460, 727, 727-200, 727-200F, 727-223, Boeing, Boeing 727, Boeing 727-200, Boeing 727-200F, C-GCJY, Cargojet, Cargojet Airways, United Parcel Service, United Parcel Service Canada Ltd., UPS, UPS Canada on August 28, 2015 by Bruce Drum. Transmile Air Services (Subang, Malaysia) is being restructured and rebranded as Raya Airways after its sale to Amrul Nizar Anuar Resources according to The Malaysian. The new owners intend to replace three aging Boeing 727-200F freighters with four newer and larger Boeing 757-200F freighters. The carrier operates for DHL. The contract was renewed in September. Copyright Photo: Ole Simon/AirlinersGallery.com. 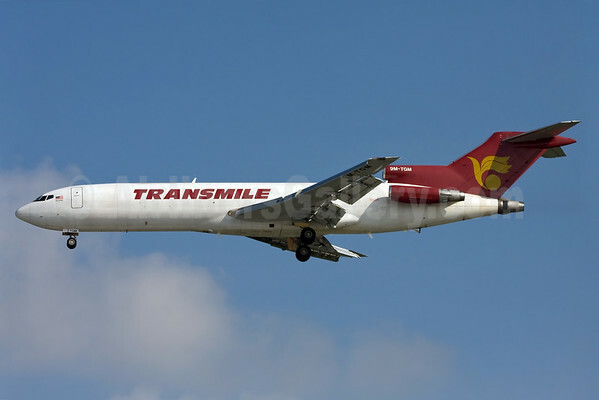 The pictured Transmile Boeing 727-225 (F) 9M-TGM (msn 22549) was originally delivered to Eastern Airlines as N812EA on April 20, 1981. This entry was posted in Raya Airways, Transmile Air Services and tagged 22549, 727, 727-200, 727-200F, 727-225, 9M-TGM, Amrul Nizar Anuar Resources, Boeing, Boeing 727, Boeing 727-200, Boeing 727-200F, DHL, Ho Chi Minh City, Raya Airways, SGN, Transmile Air Services on October 8, 2014 by Bruce Drum. Copyright Photo: Robert Collazo. 727-2Q9F N740DH (msn 21930) gets another life. It is pictured at Opa-locka (near Miami) after repainting. SP Cargo Air (Sao Paulo) is a new cargo operator in Brazil. The new airline is getting ready to acquire ex-AStar Boeing 727-2Q9F N740DH (msn 21930). This entry was posted in SP Cargo Air and tagged 21930, 727, 727-200, 727-200F, Boeing, Boeing 727, Boeing 727-200, Boeing 727-200F, N740DH, New Airline, Opa-locka, OPF, Robert Collazo, SP Cargo Air on September 29, 2010 by Bruce Drum.